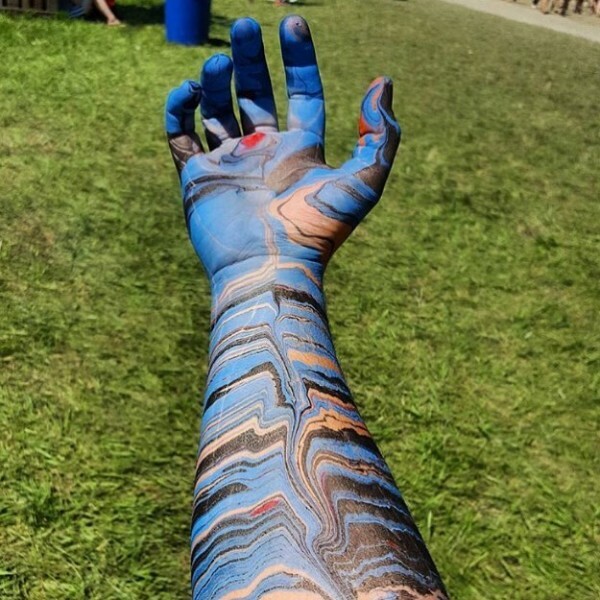 So what is body marbling, right? Well, basically, it’s the same as the old technique of paper marbling. 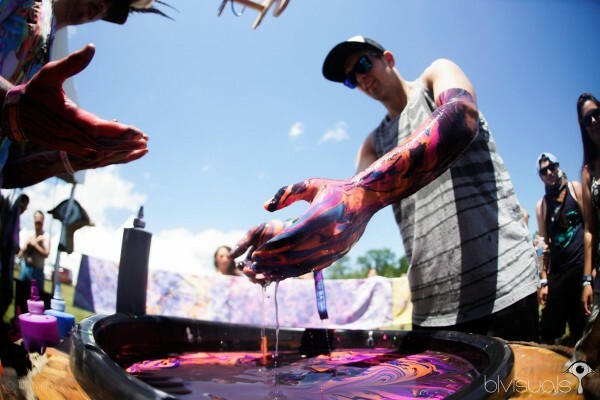 You sprinkle pigments on the surface of water, then swirl them around a bit to create an abstract design. Only instead of submerging paper or objects into the water to have the design imprinted on them, you use your hands. 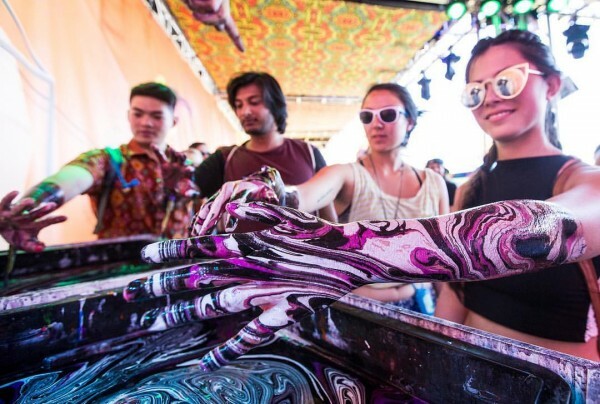 Body Light Visuals fills their vats with salt water to help the acrylic paint adhere to the skin, so as you slowly dip your arms in, the colors stick to your body. Then to make sure that you don’t get paint all over your clothes, you dip your arms into buckets of clean water to remove excess paint, and then holding your arms under a dryer. 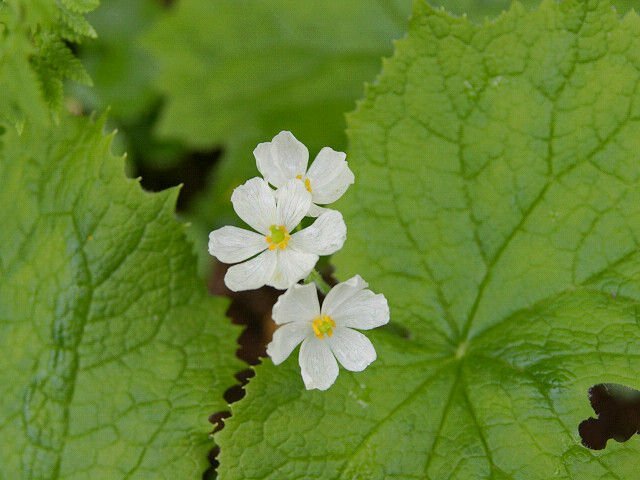 The effect is supposed to last between 8-10 hours. 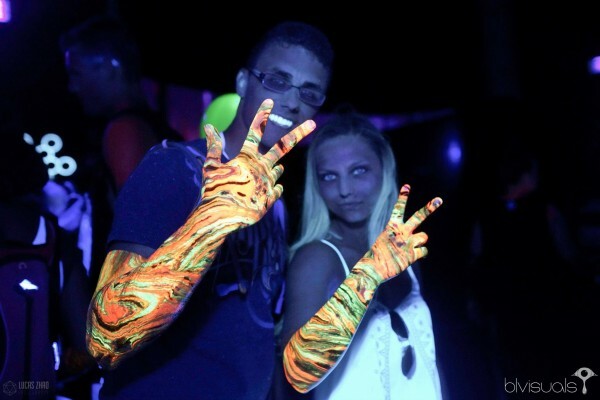 Black Light Visuals uses non-toxic water-based paints that don’t stain clothing. 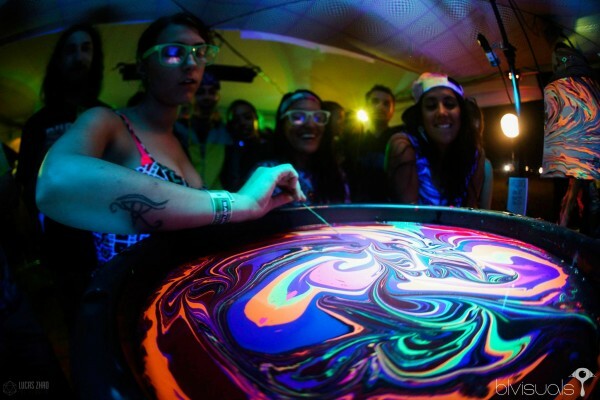 Often times the paints are UV-active, making the effect of the marbling even more impressive under black light.